He went home and scanned the ticket twice using the Lottery smartphone app. Seeing the $50,830 prize appear was a wonderful sight! “Rolling Along” has shared his good news with his wife and immediate family members along with a few co-workers. The big winner plans to spend some of his prize on home improvements and put the rest into savings. He also plans to keep playing Maryland Lottery games! 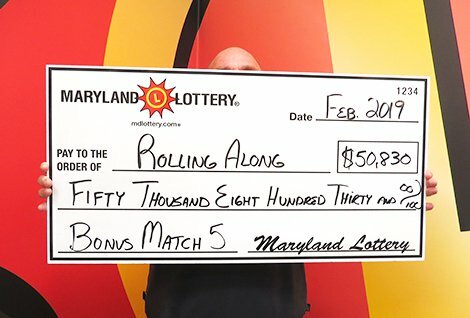 The lucky man is the seventh player to win a $50,000 Bonus Match 5 top prize in 2019. Also in the money is his Frederick County retailer. Sheetz #200 at 428 North Church Street earns a $500 bonus from the Lottery for selling a top-prize winning ticket in the daily game.